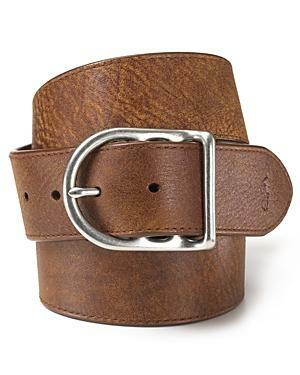 Distressed leather belt with brushed buckle. Keeper within buckle. Logo embossed.